We knew things were going to get interesting when the 2016 MET Gala was set to mix technology and fashion. The Gala’s theme, Manus x Machina: Fashion in an Age of Technology, did not disappoint. Arguably the dress that caught everyone’s attention, and took everyone’s breath away, was Claire Dane’s. The beautiful dress would literally glow in dimmed lights, and the actress looked like a magical, fairy tale princess. The dress was designed by Zac Posen and is called Galactic Cinderella, which makes the dress even more awesome. 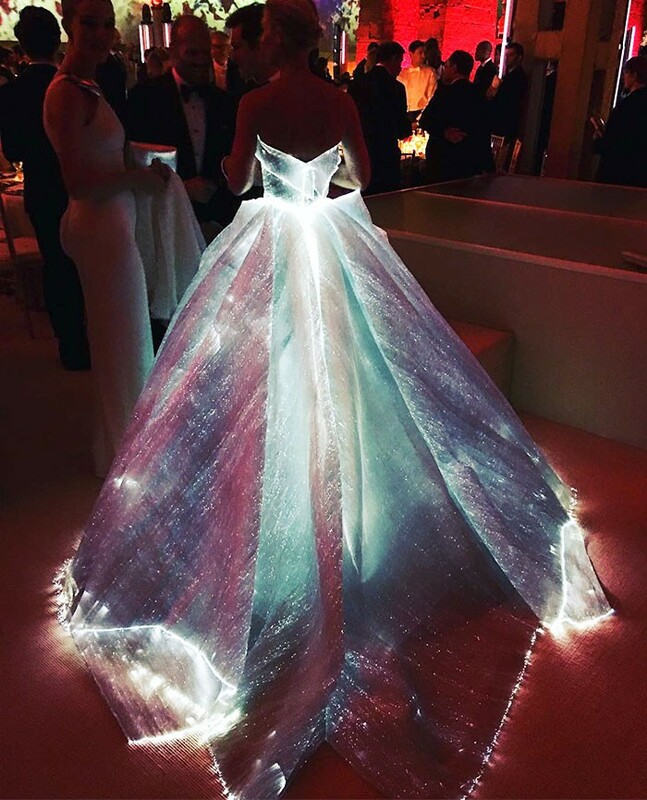 The futuristic, magical gown’s fabric is made of fiber optic woven organza, and batteries make sure it gets to “glow” the way it did during the gala. This has got to be hands down our favorite dress from the gala.